With winter here, it’s now time to start thinking about the best ways to beat the cold. 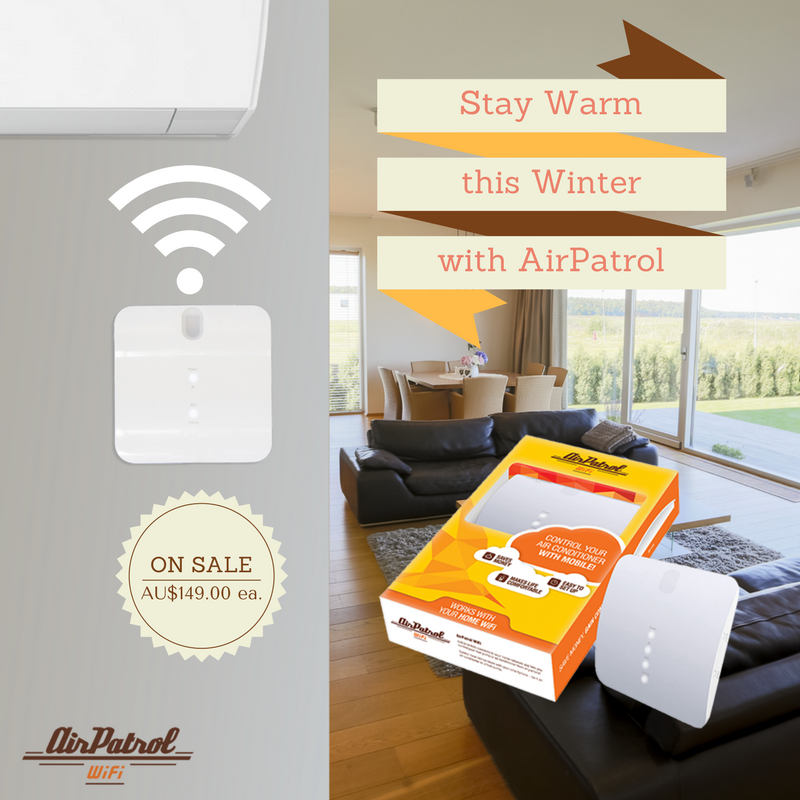 With the AirPatrol WiFi controller, you can keep your home warm and cozy, while saving energy and money at the same time. The controller connects seamlessly with the AirPatrol mobile application, allowing you to control your AC from anywhere, literally. Once you connect your controller to your phone, some magic happens in the cloud and you can communicate with your AC from anywhere in the world(as long as you have internet connection). Visit our AirPatrol WiFi page to purchase.